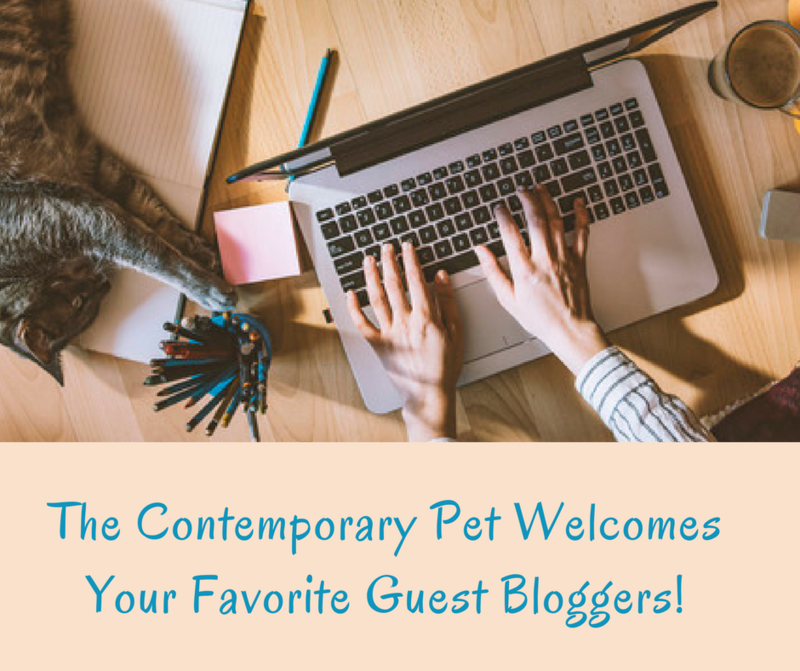 We’re so excited to announce that The Contemporary Pet will be hosting several guest posts from your favorite pet bloggers in the next several weeks! 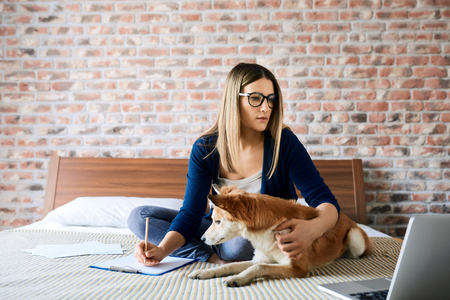 While Lori is recovering from spinal cord surgery, several wonderful members of the pet blogging community have stepped up to ensure that we continue to offer informative and engaging posts. I’m confident that these experienced pet writers and professionals will provide you with some great reading while I’m gone. I will try and keep up with emails, etc. while I’m recuperating and I’ll be back to researching and writing about the best we can offer our pets as soon as I can. In the meantime, I know my fellow bloggers won’t let you or me down! I’m happy to be a contributor. I wish tou an easy surgery and a speedy recovery. Thank you! I look forward to the guest posts and learning more about the contributors and their websites! I am wishing you a speedy recovery!! In the meantime I am excited to read all the articles from the guest bloggers! It is so wonderful to have friends in the blogging community to help out! We have such a great community of animal lovers, don’t we? I hope your surgery goes well and you have a fast recovery. I’m looking forward to reading the guest posts. Whoo hoo! Looking forward to reading the guest posts! If you need an extra post , don’t hesitate to DM me! I wish you a successful surgery and speedy recovery. Thanks so much, Kamira! I may contact you if I need some more posts. Looking forward to reading the posts. Wishing you a speedy recovery and if you need anymore posts you know where to find us. Thank you for the opportunity to be a contributor 🙂 I wish you a fast recovery and all the best! Thank you, Monika! Your work will be a huge help to me. Lori, I wish you the best recovery possible! If you need more contributors, I would be more than happy to help! Thank you so much, John. I appreciate the offer! I think I have enough for now, but if things change I will reach out to you. Wishing you the best Lori, and best wishes for a speedy recovery – and what fantastic support from the blogging community! Looking forward to seeing their posts. I’m hoping to be able to write again within 3 weeks of surgery. My biggest obstacle to recovery will probably my own stubbornness, LOL! I’ll try not to overdue things too early. And yes, the blogging community is amazing! Looking forward to reading these guest posts. Wishing you a successful surgery. Please give yourself whatever gifts of time and rest you need to recover. It is so wonderful when bloggers come together to help a fellow blogger. I know if it wouldn’t have been for Speedy the Cheeky rabbit helping me on my blog while I was dealing with Carma Poodale’s sickness and death, my blog would have died with her. I look forward to reading the guest posts! The guest posts are written by some of my favorite pet bloggers; I’m looking forward to them as well! I know that your recovery will be quick because you live with gratitude…so glad so many will be contributing to your blog so that you can concentrate on healing. Your needs are in my prayers. Be blessed. Amelia, your kind words and prayers are truly appreciated. I feel blessed to be a part of such a friendly community of animal lovers. I look forward to reading the guest posts! Good luck with your surgery and recovery. Thank you so much! I’m sure I’ll be thrilled when I am able to get back to my writing. Get well soon Miss Lori! We want you back blogging really soon!! Aw, thank you! I’m having the surgery on the 23rd and hope to be cleared to work at least part-time within 3 weeks. I’m sure I’ll be avidly reading everyone else’s blogs in order to keep up in the meantime!